For American sportsmen who favor classic sailing yachts, the annual North American segment of the Panerai Classic Yachts Challenge – the largest international circuit of regattas for classic yachts – is the event of the season. 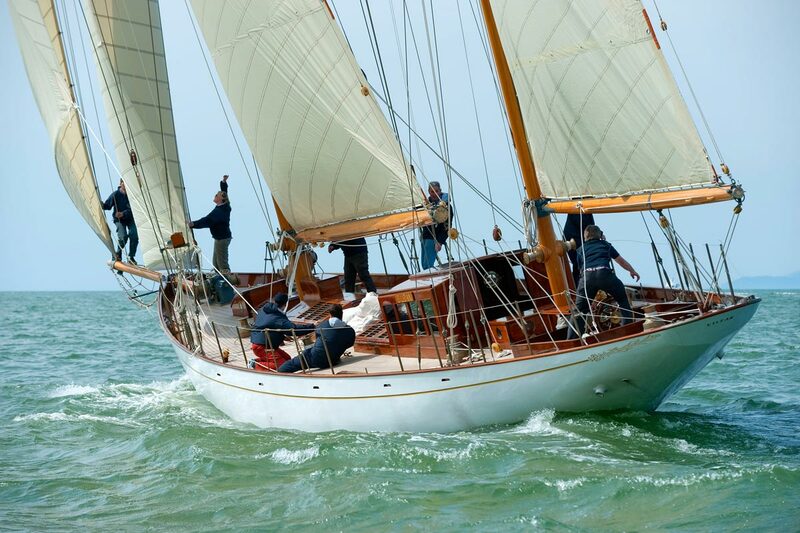 The Panerai Classic Yachts Challenge 2017 is an all-time classic event. It had recently kicked off with an impressive win in the WASPy enclave of Marblehead, Mass. for Valiant, a 12-meter Sparkman & Stephens yacht built 45 years ago whose captain now has a limited-edition Panerai to show for it. The $7,000 Panerai Luminor Marina Automatic – 44mm, with a steel case with black dial and black alligator strap, is specially engraved making it even more valuable. Valiant triumphed over the competition in the Corinthian Classic Yacht Regatta, the opening event of the North American circuit, taking home both the Grand Prix and Best Overall Awards. Competition has been fierce from start to finish. 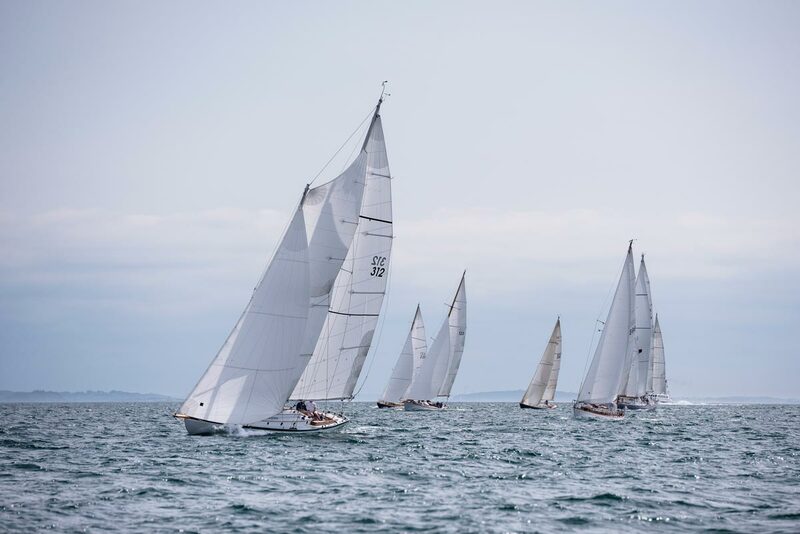 The competition was fierce on both days of sailing, with winds giving smaller boats an edge on Saturday and bigger boats the edge on Sunday with the closest finish, after 18 miles, of 7″ between Tilly XV (1912 Wilhelm von Hacht Sonder Class) and Adamant (1937 Fred Goeller Adams Interclub). The 2017 PCYC North American Circuit now consists of the Corinthian Classic Yacht Regatta in Marblehead, the Nantucket Regatta in Nantucket, MA, the Opera House Cup in Nantucket, MA, the Herreshoff Classic Yacht Regatta in Bristol, RI, and the Newport Classic Yacht Regatta in Newport, RI. The Nantucket Regatta is the next on the circuit, taking place on August 18th-19th, and the Opera House Cup on August 20th. Rolex also sponsors regattas in Newport so the brands compete in some sense for the more prestigious sponsorship. The Rolex Yacht-Master would have been the perfect watch. 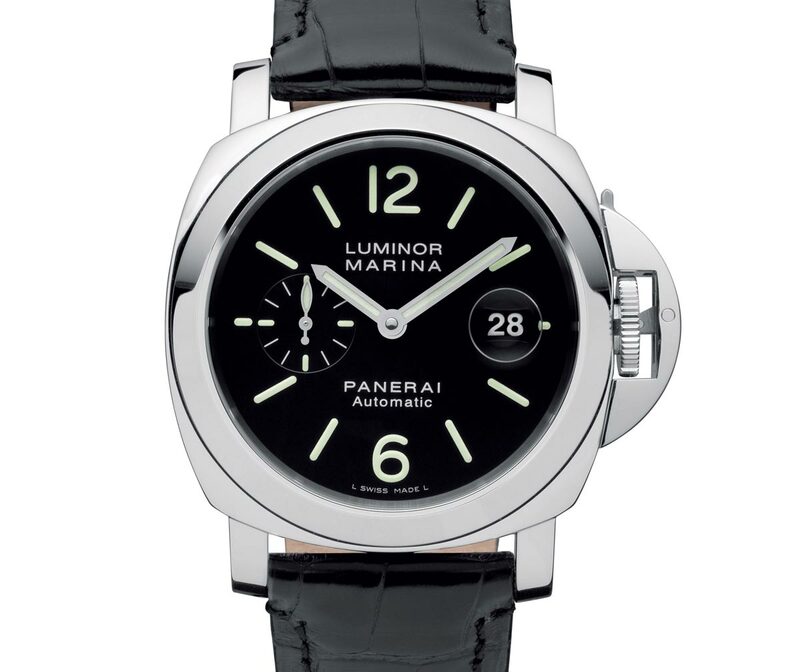 The winners receive a Panerai. This is Panerai’s 12th year as title sponsor of the Panerai Classic Yachts Challenge, a global series that has grown to 11 classic yachting regattas around the world, including St. Tropez and other sunny locales. The series pays tribute to the brand’s historic ties to the sea, and the Panerai flagship classic yacht Eilean often puts in an appearance. For 2017, the international circuit comprised a 4-part Mediterranean Circuit, a 5-part North American Circuit – this year with the inclusion of Bristol, RI for the first time – and single classic yacht racing events in Antigua and the Isle of Wight, UK. Each year, the race draws over 200 different yachts from around the world to compete for the coveted Panerai trophies and of course the prize watches, which are highly coveted by competitive yachtsmen.